Imploding Kittens - Moar Stuff - You don't need it but you know you want it. 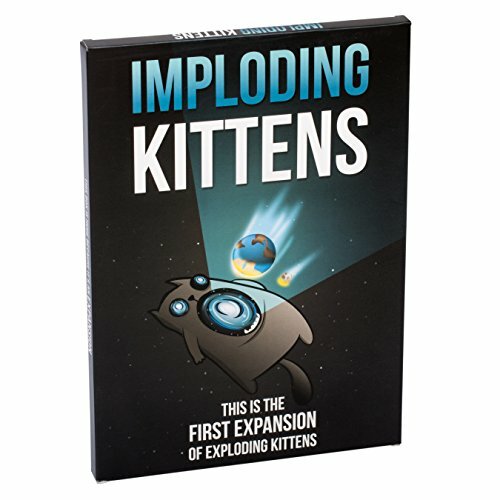 Imploding Kittens is the first Expansion for Exploding Kittens, the award-winning card game that made Kickstarter history as the most-backed project, ever. 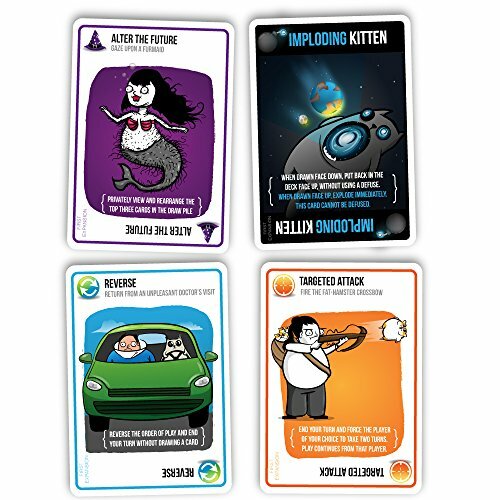 This expansion deck includes 20 new cards featuring 5 new types of actions AND an “Imploding Kitten”. By adding these extra cards, you increase the game from 5 to 6 players. Just to be clear, this is not a standalone game – it requires a copy of Exploding Kittens (any version) to play. In addition to the extra cards, it also includes the “cone of shame”. This is a human sized pet cone which is used to indicate whose turn it is currently. It adds a bit of extra humor and makes sure everyone knows whose turn it is and who’s next. Imploding Kittens makes an already fun party game, even more fun. If you have Exploding Kittens, do yourself a favor and get this expansion now. Dimensions: 12.2 x 8.7 x 0.7 inches. 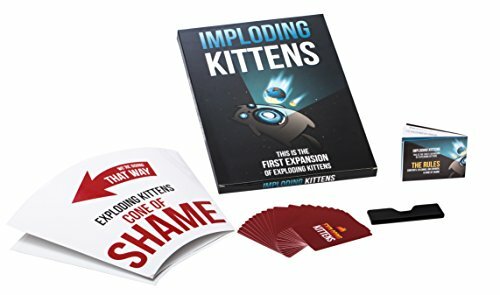 This is the first expansion pack of Exploding Kittens and includes 20 new cards illustrated by The Oatmeal which expands the core deck from 5 to 6 players. It’s 100% compatible with any Exploding Kittens deck. 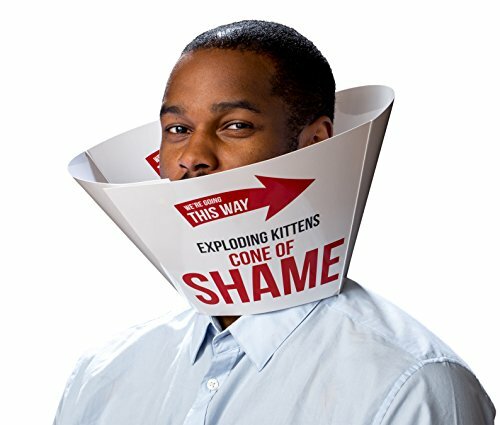 ​Includes a human sized “Cone of Shame” turn indicator​.